My favourite passage in ancient history is Herodotus’ description of the dope-smoking Scythians of the Russian steppes. They were sceptical about the social benefits conferred by alcohol, the intoxicant recommended by their Greek colonisers (4.75). But the Scythians did love their weed. At funerals, they inhaled the delicious vapours produced by bags of cannabis laid over hot stones, and howled in collective joy. Herodotus’ evidence was confirmed in the 1920s by the sensational discovery of equipment for enjoying cannabis in Iron-Age tombs, along with preserved bodies of tattooed nomads, in the Altai Mountains of Siberia. 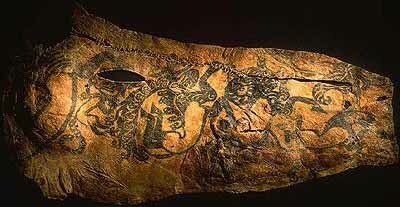 Some scholars have even discerned images inspired by the cannabis plant and its leaves amongst the elaborate body art. 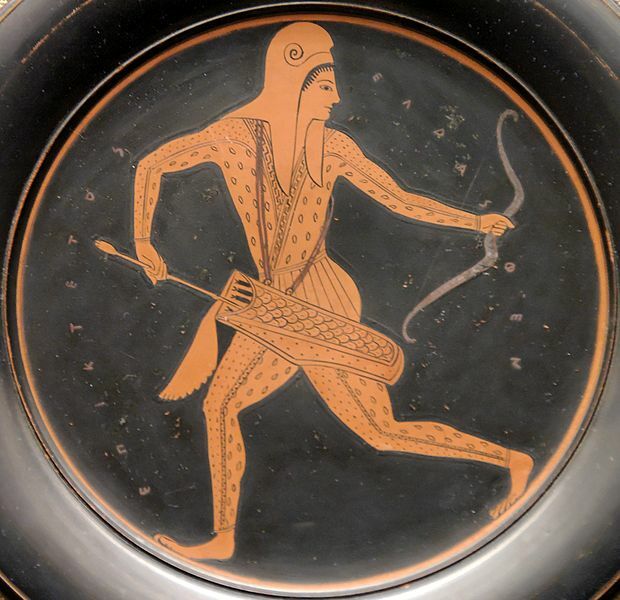 This week the State of Washington did a Scythian Thing. It legalised the possession of up to one ounce of marijuana. The news was greeted with delight by the indigenous Suquamish tribe (after whose ancestor, Chief Sealth, the city of Seattle was named). 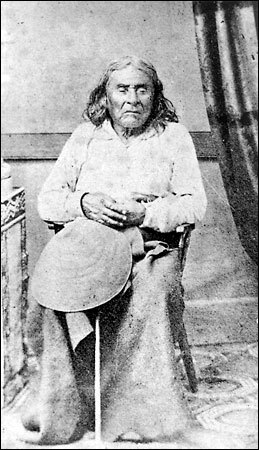 The Suquamish have always used marijuana extensively in medicine and ritual. But their opponents have issued dark warnings about an imminent rise in psychiatric disorders and drug-related violence. We shall see. In the USA, no effective Federal legislation against marijuana existed until 1937. 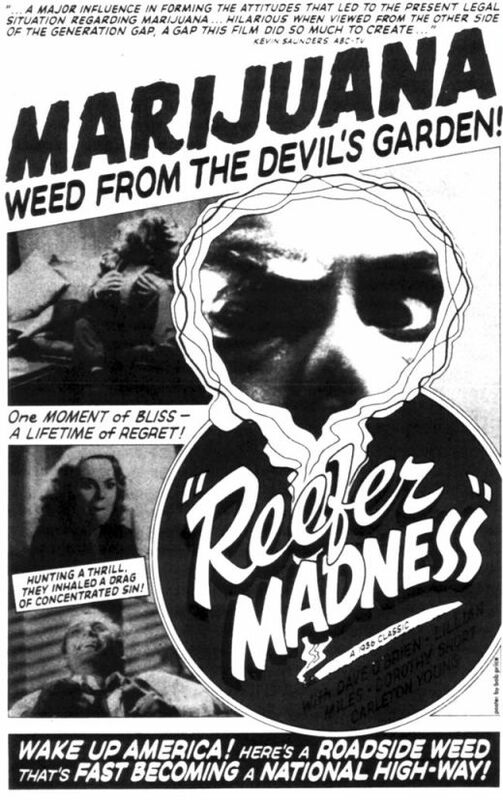 It was the brainchild of Harry J. Anslinger, first Commissioner of the Federal Bureau of Narcotics. 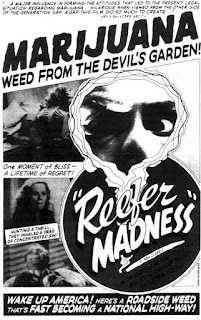 Anslinger, a fanatic, used cinema (you can see some of the unedifying results on Youtube) to malign cannabis as 'the most violence-creating drug on this planet'. The illegal status of cannabis has always seemed perverse to me. I once lived in Brixton, where it was obvious that the police used its illegal status to justify purely racial harassment. When a close friend was in agony with galloping Multiple Sclerosis, he gained considerable relief from inhaling these benign, crumbly, green-brown leaves. Further back into prehistory, when I was an undergraduate, it was far less expensive to use cannabis, preferably inhaled through a bong shared with friends, than to seek relaxation through booze. The bong-crowd, many of whom were classicists and thus professionally familiar with the Scythians, used to go gently to sleep in our ring-leader’s bedroom. Meanwhile, the drunken Rugger Buggers were fighting, breaking windows, and terrorising all females who dared so much as to walk past the college bar. The UK rather accidentally criminalised dope when its inclusion as one of a long list of substances in the 1925 Dangerous Drugs Act was virtually undebated. Let's hope the country doesn’t take too long to follow the Seattle-ites' Scythian trend. I can just imagine the parties following Obama's election triumph. Yes, the 'enemy within' identified by Anslinger does look remarkably like the coalition of voters that kept Obama in the White House, doesn't it? !